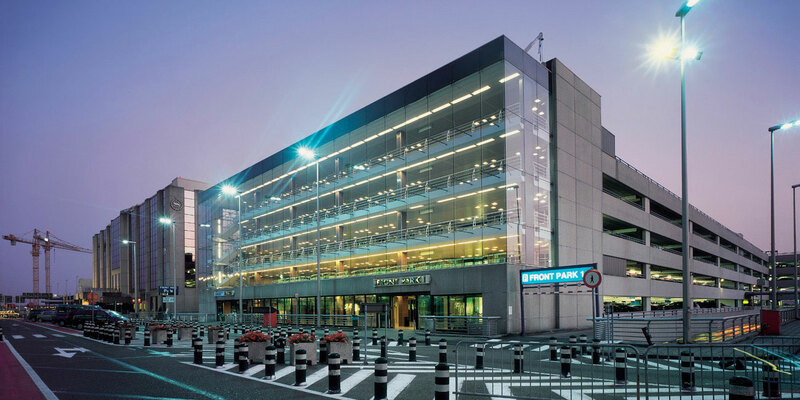 The spider glass walled Front Parking 1 is located directly opposite the airport terminal’s main entrance. It provides room for 2,500 car spaces. 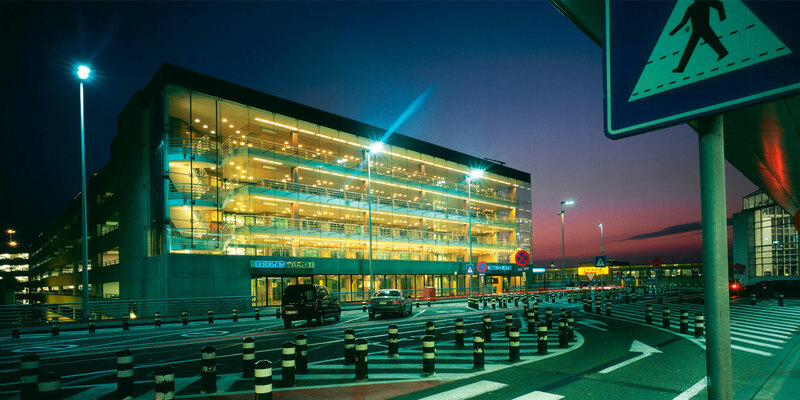 The 7-storey 75,000-square-metre garage is organized in such a way that entering and exiting ramp driveways connecting all levels are separated. The building's front façade has not been treated as a functional typical garage's façade but as it would have been for any quality building used by people and located in a busy environment. 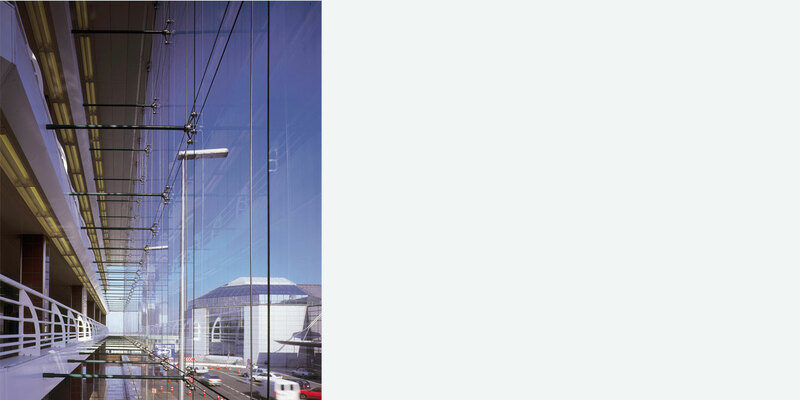 Behind the building's glass wall, which runs uninterrupted along the whole front façade, are the elevators foyers which offer dramatic views over the airport's main terminal. 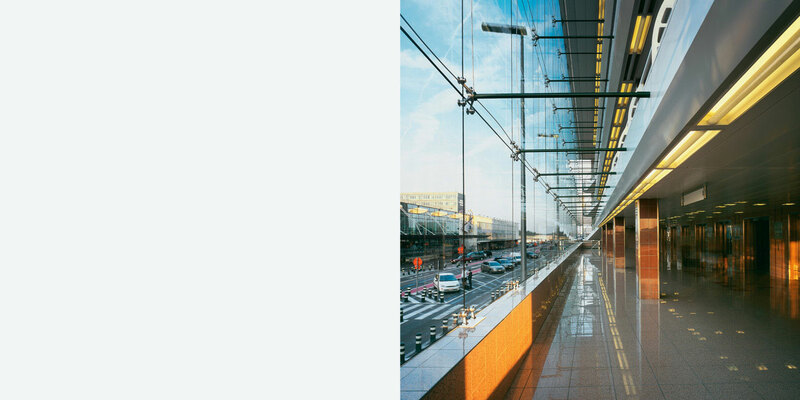 All elevators have transparent glass doors for convenience and safety.